Expertly handcrafted, the furniture created by Villeroy and Boch is very cleanly presented and highly desirable. 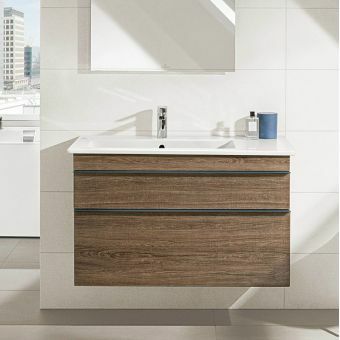 By choosing Villeroy and Boch, your furnished bathroom space becomes a fully usable space, with the potential to coordinate cohesively throughout. 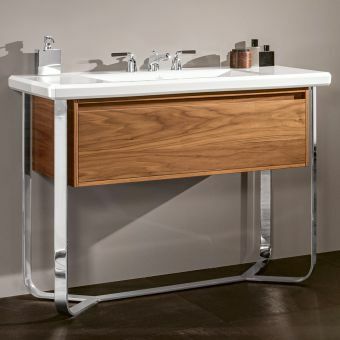 Defined by the look of freshly cut wood, Legato vanity basins have a natural appeal that is merged with geometric shapes and obliquely cut angles. 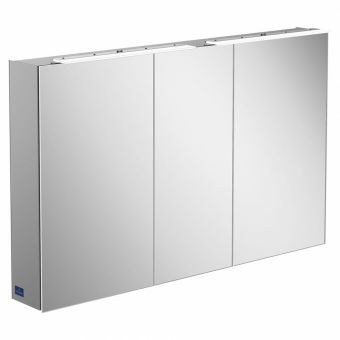 Available in several sizes and widths, these units are well paired with wall mounted tap sets for a look of European chic. For cool monochrome colour sets, the Subway 2.0 series presents units with either Glossy White or Oak Graphite finishes. 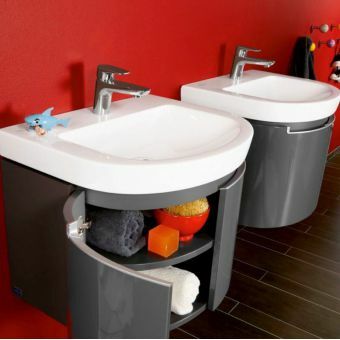 With a surface mounted basin and useful storage, these units create a natural focal point for the bathroom wash space. Finishing these pieces are the subtle yet important details, such as tasteful chrome handles and soft action drawers and hinges that give these pieces the true meaning of luxury. Furniture is often the centrepiece of a bathroom, and the right item can tie a room together perfectly. 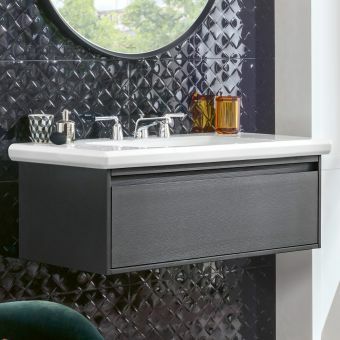 Whether you're looking for something to subtly add to the design of your bathroom or a feature piece that makes a statement, you are bound to find the perfect selection for your needs in our Villeroy & Boch collections. Founded in 1748, the German company Villeroy & Boch is committed to producing beautiful and functional high-quality ceramics and furniture. Innovation is at the heart of Villeroy & Boch's culture, and they strive to achieve groundbreaking product functionality and design in all that they produce. The 278-year-old company values tradition, quality and authenticity, and the Villeroy & Boch premium products we supply embody all these values. Villeroy & Boch has a keen focus on sustainability, and you can be sure their products are sourced ethically and economically. All fourteen of their facilities promote the efficient use of resources and integrate environmental protection to ensure their products are made with the least impact on the environment. If you need help choosing the right piece of furniture for your budget and other requirements, please call ukBathrooms on 01765 694 720. We'd love to help you achieve your dream bathroom! The first thing you should consider is how much space you have available in your bathroom to accommodate furniture. Make sure to carefully measure the area and decide where you want to position your furniture, keeping in mind that drawers and doors will need space to open. 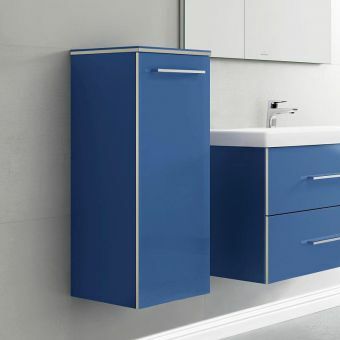 Do you have room for a vanity as well as a bathroom cupboard? 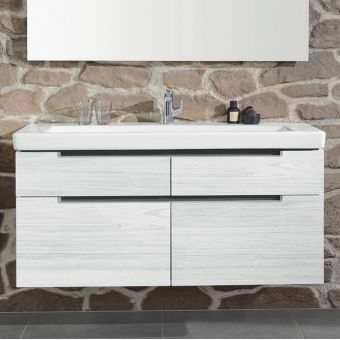 Or would a vanity and cabinet combination be best for you? A great way to find out how much space you have available is to draw up a floor plan. Then, you are looking for furniture you can measure it in to make sure it's the right fit! 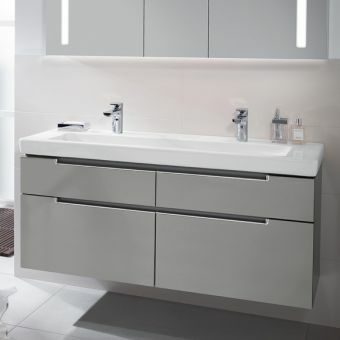 Villeroy & Boch (insert hyperlink: http://www.ukbathrooms.com/bathroom-furniture/manufacturer/villeroy-boch/) has a large range of differently sized vanity units, cupboard and cabinet options to fit in with the space you have. All of our products have a detailed description of their dimensions, so you can ensure you purchase the best furniture for your space. 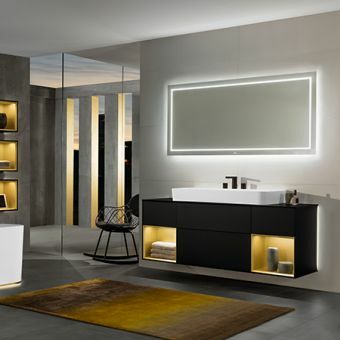 Villeroy & Boch design bathroom furniture that is both visually stunning and functional. 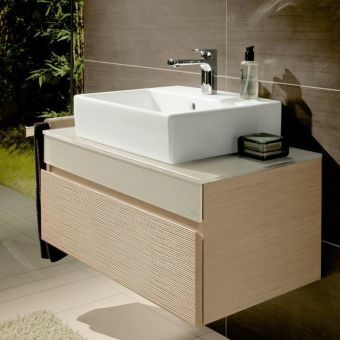 It's essential to consider the purpose you want your bathroom furniture to fulfil. Do you need lots of storage space? 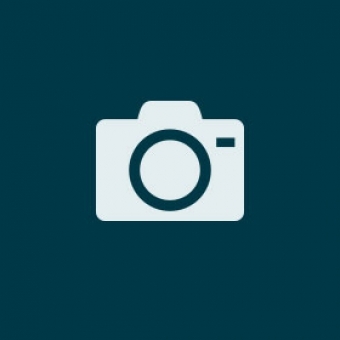 Or would you prefer something sleek and minimal? To make sure you are accommodating for all your needs, try making a list of all the items you would like to store in your bathroom. 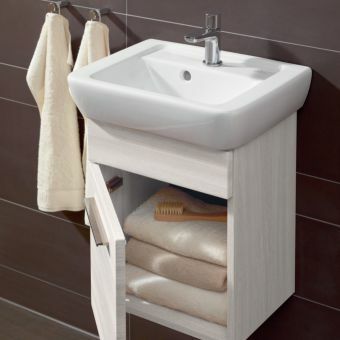 Would you like to store towels in your bathroom for easy access, or would you prefer to take a minimal approach? 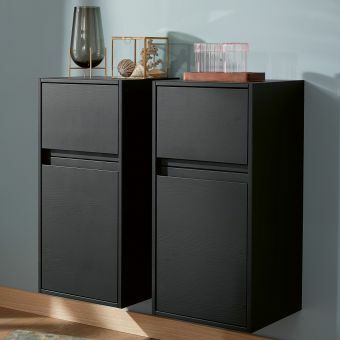 Once you've made your list you'll be able to see at an easy glance how much storage space you need. This is a very handy way to help you choose the best furniture options for the functionality you require. 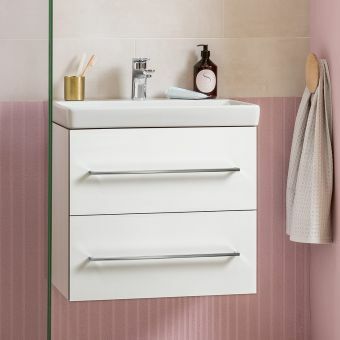 With most Villeroy & Boch bathroom furniture you can choose either one or two drawers, so you can be sure you'll have all the storage space you'll need! 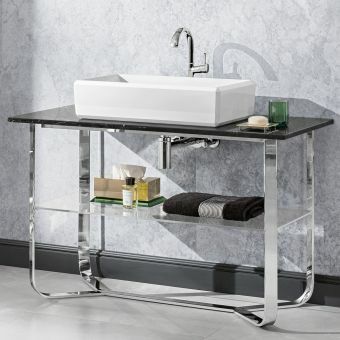 Once you've decided on your size and functionality needs, it's important to consider how your furniture will fit in with the overall interior design of your bathroom. Would you like your furniture to seamlessly fit in with your tiles and colour palette, or are you looking for a centrepiece item that makes a statement? 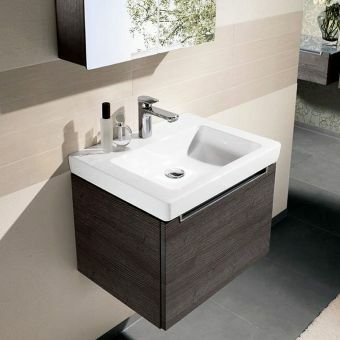 If you want to have several pieces of bathroom furniture, it's best to choose items from one Villeroy & Boch collection. 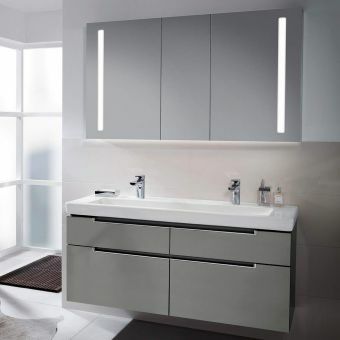 ukBathrooms supplies eight Villeroy & Boch furniture collections that include vanity units, cupboards, cabinets and mirrors. Find out more about each collection below. 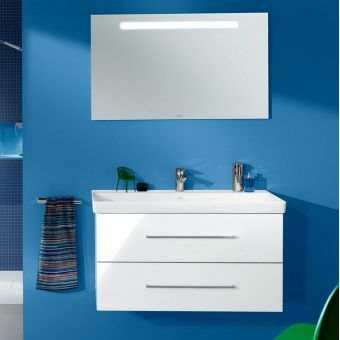 The Villeroy & Boch Avento range is sleek, modern and affordable. The acrylic glass fronts of the furniture make them incredibly easy to keep clean, while simultaneously adding a deep glossy finish. 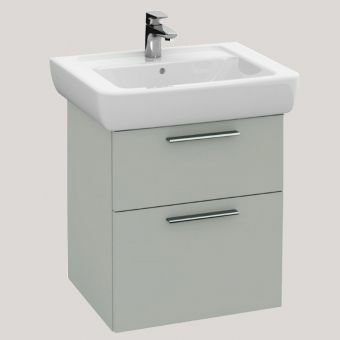 This collection was designed with functionality in mind, and if you are working with a cosy space the vanity is available in two sizes so you can have the best fit! The Avento range is available in four colours: Crystal Black, Crystal Blue, Crystal Grey and Crystal White. With so many contemporary colours to choose from, you can be sure to find the perfect match to fit your bathroom's interior design. 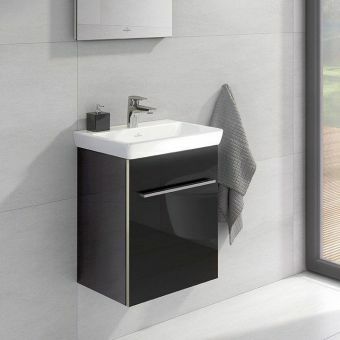 The Subway 2.0 range features innovative and functional design, with both rounded and angular shaped furniture options available to give you ultimate control over the look and feel of your bathroom. 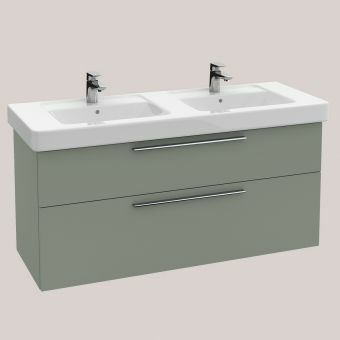 The vanity units are available in Gloss Grey, Gloss White, or Oak Graphite if you're looking for something a little more eye-catching. The handles are available in both Matt Silver or Glossy Chrome to tie in with the overall design of your bathroom. With clean, sleek design, the Subway (SoHo) range is classic and understated. In Gloss White, Macassar or Walnut, this range offers a unique deeper colour palette for a luxurious finish. Its form is simple but elegant, and the vanity unit and mirror cabinet combination is a perfect example of 'less is more'. This collection fits in with many bathroom styles, adding to an environment of relaxation and harmony. 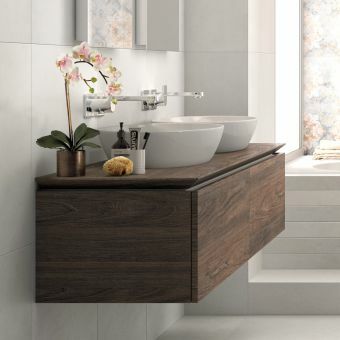 Choosing from the same high-quality brand such as Villeroy & Boch means that all of the items in your bathroom will work in harmony to create the ultimate environment for relaxation. All of Villeroy & Boch's Venticello products are designed to fit with any of their ceramic and brassware collections, so no matter what furniture you love you can find the perfect shower fittings, basins and other accessories to complete your bathroom. The Villeroy & Boch Aveo products embody luxury in its purest form. With striking smooth, oval design at the heart of all pieces, the Aveo collection is all about warmth and opulence. Available in Dark Oak, Pure Oak and Gloss White, you can be sure to find a stunning centrepiece for your bathroom in this collection. The Joyce collection is truly unique, with a key feature being its ability to incorporate bespoke accessories called 'Apps'. The Apps are specially designed to fit into the furniture and are excellent for storing accessories or other items you need handy in the bathroom. The furniture comes in a range of fresh colours including Elm Impresso, Glossy Grey, Glossy White, Oak Graphite and Terra Matt. The Joyce collection is perfect if you want to insert a bit of your own personality and homeliness into your bathroom. The Memento collection's gorgeous design is minimal but eye-catching. 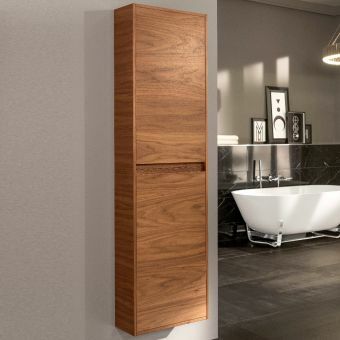 This sleek and stylish range wouldn't be out of place in a tropical resort and could be the centrepiece you're looking for in your own bathroom oasis. 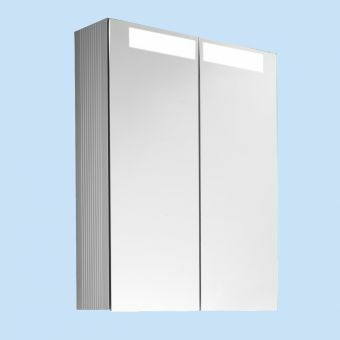 Consider pairing a Memento vanity unit with a mirror from the Subway 2.0 collection to add some depth to your bathroom. This stunning collection is pure opulence, drawing from the Romantic era to give your bathroom a luxurious finish. Quality is key in this range, with excellent workmanship to execute the delicate design. The La Belle furniture range is available in Glossy White or Glossy Framboise, and will make you feel like a celebrity in your own home! With ultra-modern, functional and coordinated design, the Legato collection is the perfect balance between aesthetics and functionality. 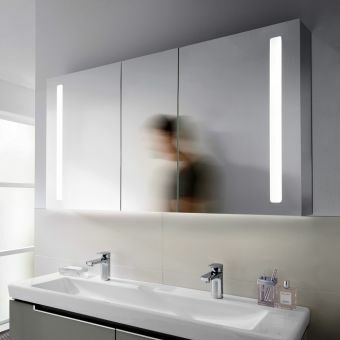 Legato vanity units feature stylish LED lights inset around the rim to add a soft glow to your bathroom at night. This collection is a great all-rounder! 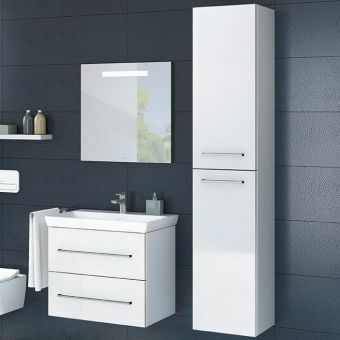 With furniture available in Glossy White, Glossy Grey, Oak Graphite, Terra Matt and Elm Impresso, the versatile Legato collection makes a great addition to most bathroom styles. The Sentique collection is one of our most affordable Villeroy & Boch ranges and boasts a slick, modern design that is also highly functional. 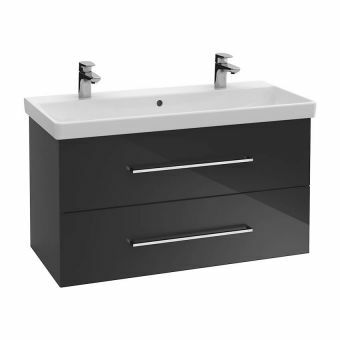 Available in Glossy White and Terra Matt, this range is classic and versatile. We supply several different sizes in this furniture range, making the Sentique a great choice to tie in with your bathroom's space requirements and interior design. 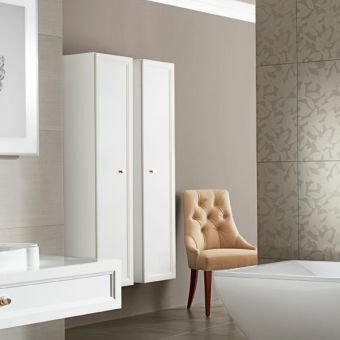 Once you've found the perfect furniture, it's important to make sure it fits into the grand plan for your bathroom. Why not browse our full range of premium Villeroy & Boch products? 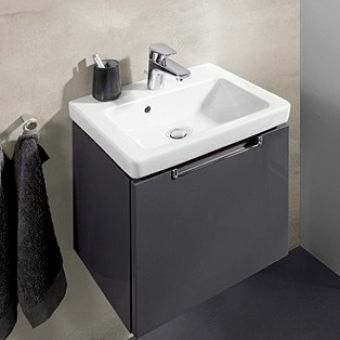 We supply a range of different categories including basins, baths, shower fittings, shower trays, toilets and taps. 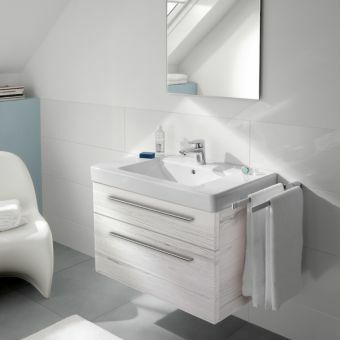 Villeroy & Boch apply the same standard of functionality and design across all of their products. Villeroy & Boch's high-quality ceramics are especially easy to clean due to a special finishing process. Several of their products have also been awarded for their sustainable and innovative design. At ukBathrooms we're passionate about delivering exceptional customer service. After all, we've been doing it for 20 years! We offer free delivery on some items, and if you find a cheaper quote for an item elsewhere we'll always do our best to price match. Contact us on 01765 694 720 to find out more about the great services we offer. We'd love to help you choose the best products to suit your unique taste.